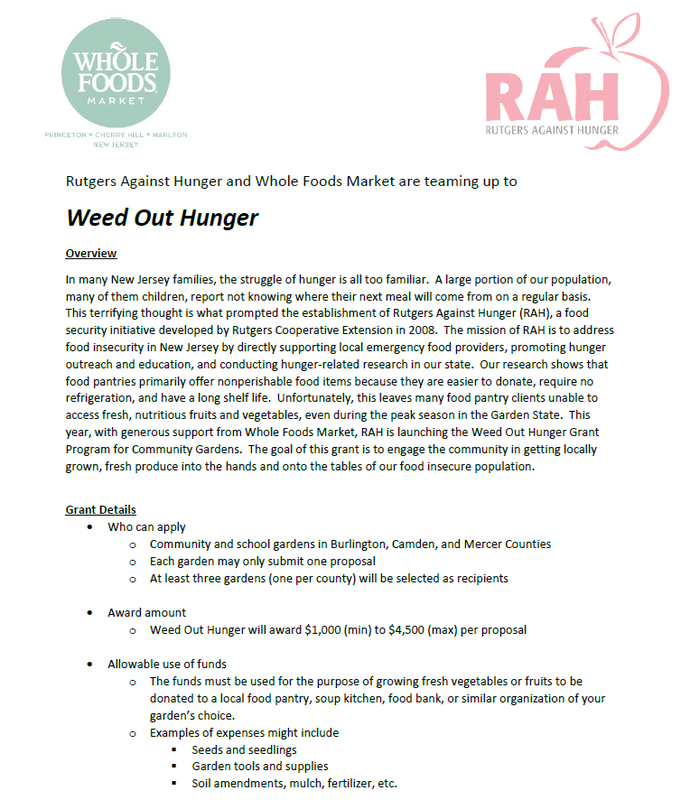 We are offering grants to community and school gardens to help get fresh produce into food pantries and soup kitchens. 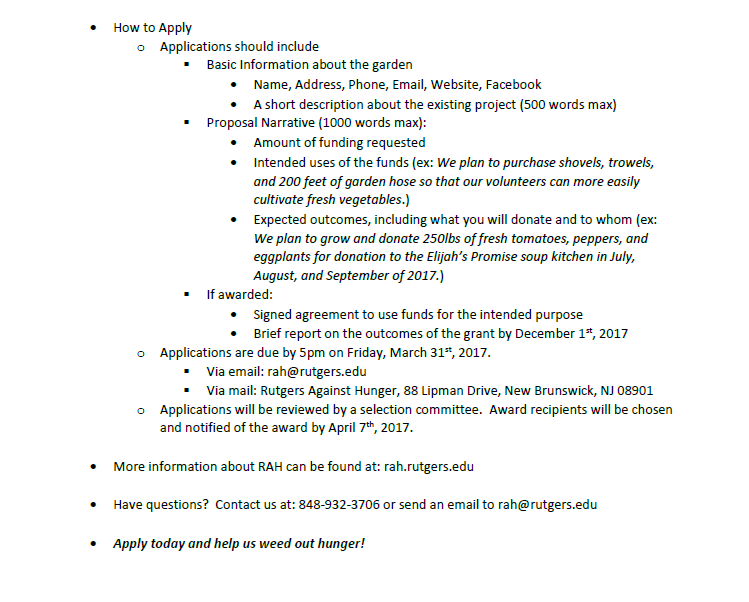 Anyone working in a garden within Camden, Burlington, and Mercer Counties may apply. The only condition is that the funds be used solely for the purpose of growing food for those in need. Help us stock the shelves of our local food banks and pantries with fresh fruits and veggies!